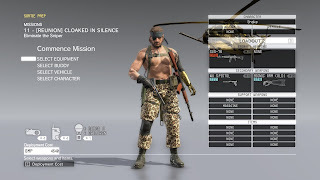 Just like in Metal Gear Solid: Peace Walker (2010), Metal Gear Solid V: The Phantom pain allows the player to tackle mission using characters that make up your army other than Snake. Also like Peace Walker, since there are no female enemy combatants (other than special characters like Quiet or the parasite unit), the female soldiers you can recruit are hard to come by if you don't know where to look. In order to play as characters beside Snake, they have to be assigned to the Combat Unit first and then selected during mission deployment. Completing missions as combat staff increases their proficiency. 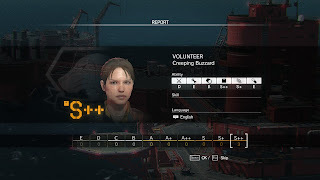 To unlock Quiet as a buddy who you can take with you on missions, you first have to defeat her non-lethally in a boss battle and bring her with you to Mother Base. The mission where you get to fight her gets triggered when you enter the Aabe Shifap Ruins in Afghanistan during Side Ops or Free Roam mode. 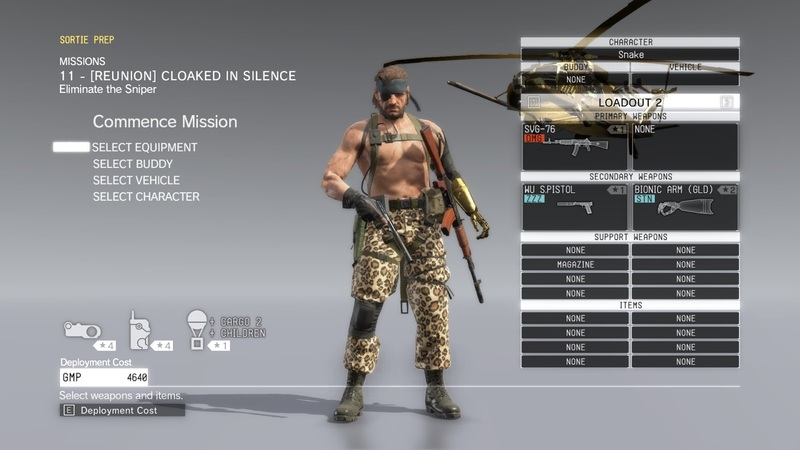 After you've done this, you'll still have to wait for the Side Op where Ocelot gives you his report on Quiet. Likely you'll only have your tranquilizer pistol with you as a non-lethal weapon so expect to call in multiple supply boxes to replenish your ammo. ... Or cut out the middle man as demonstrated by Oliver Campbell. Right, so technically the fact that you at one point permanently lose Quiet is a spoiler, however considering this is something most people would probably like to be aware of, I'm not treating it as such. 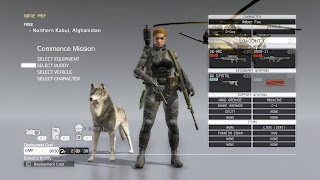 Quiet will leave permanently after Mission 41 when you have maxed out the bond with her (resulting in a story mission which serves as her final chapter in the story). You can prevent this from happening (but then you won't be able to complete all missions) by adding a Butterfly into the Front design of your Emblem. The Butterfly in turn is unlocked by completing three missions in a row during which Quiet neutralizes the majority of enemies. Breaking the tedium by playing another mission made me have to restart. It had to be 7 times in a row. The last time before [Reunion], I was playing as Snake. It's also useful to bring as little equipment as possible, otherwise the GMP cost will start to accumulate after 7 times. Technically you only need your binoculars to call in Supply Drops anyway. After this process is completed, Quiet will be available as a buddy again as if the heartbreaking finally never happened. Female staff will occasionally show up as volunteers. Increasing your heroism and sending out your troops with Combat Deployment will hopefully bring them in. Some were awarded by pre-purchasing the game. Some Missions and Side Ops have objectives that include rescuing prisoners. The gender of the prisoner stays the same so you can repeat the mission to acquire multiple female units. The prisoner will be wandering (from north to south) in the hills northeast of Lamar Khaate Palace until collapsing in the desert. Use of Night Vision Goggles makes locating her a lot easier. The prisoner is held captive in a cell in the Wakh Sind Barracks bunker. Be careful, the compound is heavily guarded. The prisoner is held captive in a cage in Kiziba Camp. The prisoner is held captive in a building in Masa Village (Bwala ya Masa) near the outskirts. Saving her is an optional task for the mission. She's one of the two engineers you have to rescue to complete the mission parameters so you can't miss her. She's being held in a heavily guarded tent at Ngumba Industrial Zone, SW Guard Post. Afghanistan, Shago Village (Da Shago Kallai). The prisoner is the target of the mission. Afghanistan Central Base Camp. The prisoner is the target of the mission. Afrika, Kiziba Camp, South Guard Post. The prisoner is the target of the mission. Afghanistan, Aabe Shifap Ruins. The prisoner is the target of the mission. Beware of snipers. Afrika, East of Bwala ya Masa. The prisoner is the target of the mission. She's on the roof of a hut beside the road. Afrika, Ditadi Abandoned Village, NE Guard Post. The prisoner is the target of the mission. She's hiding next to some rocks. Afghanistan, Sakhra Ee Village (Quarya Sakhra Ee). The prisoner is the target of the mission. Afrika, Munoko ya Nioka Station. The prisoner is the target of the mission. Beware of the enemy gunship flying above the camp. Hello, I loved your blog, especially the themes that involve the MGS series. I also own a blog, specifically related to the MGS series, I'll leave the link here, you can translate it for English easily. Thanks.